Norway is known worldwide as the leading salmon producer and exporter. The results of a recent study of grocery stores salmon prices determined that purchasing 1 kg of Norwegian Atlantic salmon in the same country is more economical than in foreign markets. The same was proved to be true for Chilean produced salmon. Last week, a consumer could purchase 1kg of Norwegian-produced Atlantic salmon filet in Norway for NOK$135 on average (about US$16.2). 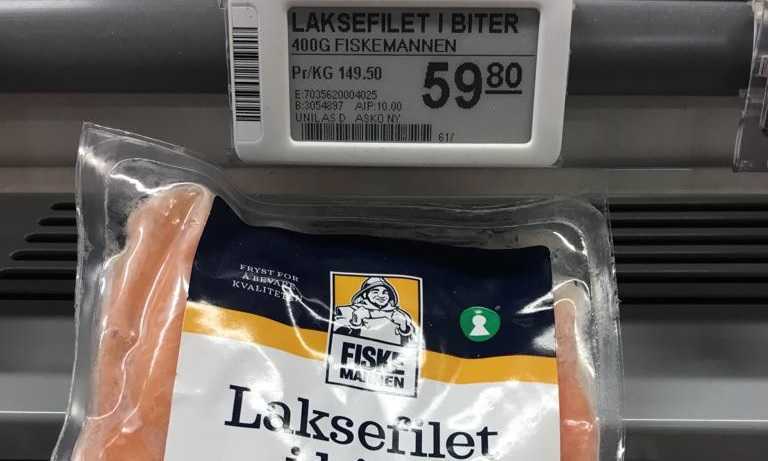 During the same week, if a consumer wanted to buy 1 kg of Norwegian Atlantic salmon in France, the average price hovered around EU$21.1 (US$24/kg). The price in U.S. grocery stores is about US$33.6/kg. This analysis reflects an earlier market study conducted for Chile which showed that Chilean salmon bought in the country of origin cost less than the same filet in foreign grocery stores.